Cetyl myristoleate is a fatty acid. It was isolated in Swiss albino mice, which for some Darwinian wonder, never develop arthritis. It also seems to be an effective joint lubricant and anti-inflammatory. Cetylated fatty acids are also used for diseases in which the body attacks itself (autoimmune diseases) including Sjogren’s syndrome, systemic lupus erythematosus (SLE), and multiple sclerosis (MS). Some people use cetylated fatty acids for psoriasis, fibromyalgia, emphysema, benign prostatic hyperplasia (BPH), silicone breast disease, various types of back pain, leukemia and other cancers, and a disease that involves inflammation of the blood vessels called Behcet’s syndrome. Cetylated fatty acids are applied to the skin for osteoarthritis. Members of the American Holistic Veterinary Medical Association have been using Myristin® since 1996 for dogs, cats, and other small animals. In 2008, EHP Products introduced a specific veterinary product for dogs and cats, a tasty chewable tablet. The new Hip and Joint Formula combines Glucosamine Sulfate, MSM, and other joint nutrients along with Myristin® into a convenient scored tablet so well-flavored with Prime Rib of Beef, Bacon and Liver that it can even be fed as a treat. Doses: The Myristin dose is 2-3 tabs per day, based on body size. I am personally interested in trying the topical cream..
P.S. If you have a middle aged to older pet, then they will have some degree of joint wear and tear..often the veterinary diagnosis is arthritis. Or some type of joint support supplement. My supplements have been working well for dogs and cats showing evidence of arthritis, and they will likely work for your dog or cat. where can we get Myristin? we already have you wonderful supplement. 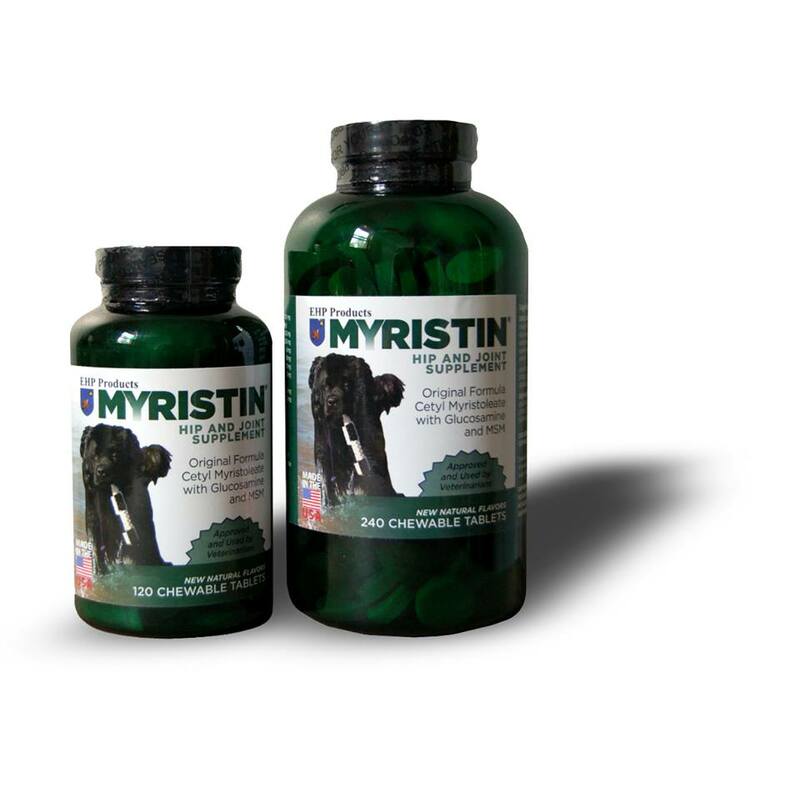 Is there a difference between the Myristin Supplement and the Myristin Formula? If there is a difference, which should I try first? We use Dr. Jones’s Dog Supplement and appreciate his work. However, I wish he wouldn’t post articles with statements like “Darwinian wonders.” Evolution is a theory. It is an unproven theory. It can not be proven, because it is false. We didn’t evolve from anything. God created all of us after our own kind. Those who doubt that will one day meet the God that created them. Thank you, Doctor Jones, for all the helpful information you give us! I seek information on Myristin for my arthritic cat. Marie Jennings, I recommend you check trusted internet vendors to see who might carry it. 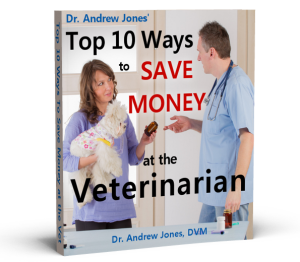 As it is a supplement, you won’t need to go through a vet to obtain it. I intend to check on the internet myself! … and dear John Laws, you are quite free to ignore the words that offend you. Censorship is far more offensive. Most people in the U.S. and Canada understand evolution. Remember that practitioners of science, who included Copernicus and Galileo, were once condemned by the religious authorities of their time.